Dubai Parks and Resorts announced this morning that it had secured Dhs 993m ($270m) of debt financing to fund part of its proposed Six Flags branded theme park. The company is looking to raise Dhs 2.67bn to finance the development with the remainder expected to come through a proposed Dhs 1.68bn rights issue put to shareholders at a general assembly meeting on April 18. Abu Dhabi commercial Bank, Dubai Islamic Bank and Sharjah Islamic Bank provided the debt portion announced today. 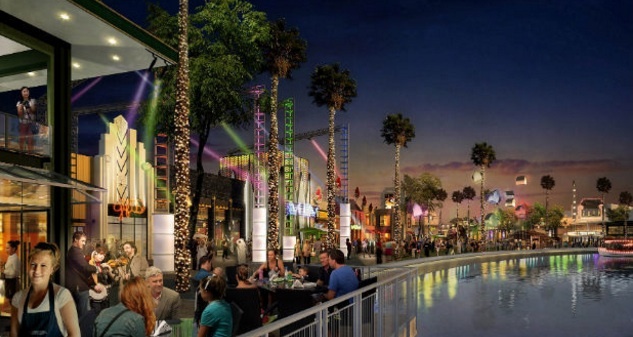 The Six Flags Dubai development is planned to open in Q4 2019 and will include 27 rides and attractions. Should shareholders approve the proposal, Dubai Parks will be able to increase the share capital of the company by around 1.67 million shares at an issue price of Dhs 1 per share. The board will have one year from the date of the decision to decide upon the timing of and execute the proposed rights issue. It will also be subject to Securities and Commodities Authority approval. Dubai Parks said it would proceed as soon as market conditions were suitable. The Six Flags theme park will join Dubai Parks’ existing three theme parks, Legoland Dubai, Hollywood-themed Motiongate Dubai and Bollywood Parks Dubai, which are due to open in October this year. “Dubai Parks and Resorts has a clear strategy to be the largest leisure and entertainment destination in the Middle East. The proposed Six Flags branded theme park will strengthen the appeal of our destination for thrill seekers of all ages,” said chief executive Raed Kajoor Al Nuaimi. The original plans for the Dubai Parks & Resorts project, announced in November 2012, envisioned five linked theme parks at the site.